The 2012 Six Nations was the perfect chance to begin building for RWC 2015 after the turbulence of the 2011 tournament, when an experienced French squad reached the final despite a very public falling out with then coach Marc Lievremont. It was time for a new era, young players who would form the heart of the 2015 squad. Instead, for his first match in charge against Italy, PSA selected ten players in his starting XV who were the wrong side of 30, including many – Aurélien Rougerie, Dimitri Yachvili, Lionel Nallet and William Servat – who were past their international peak. Nicolas Mas was one of the ten thirtysomethings selected for that Italy Test. But three years later the Montpellier tighthead, now 34, remains one of the best scrummagers in the world game, as he showed with his form in the weeks before this year’s Six Nations. PSA duly selected Mas only to omit him from his first three match-day squads in preference for props so inferior to the masterly Mas it’s laughable. PSA has never managed to get the best out of Wesley Fofana, one of the most gifted centres in European rugby. He even got it into his head in 2012 that the Clermont man was better on the wing, and so Fofana found himself shunted out wide for seven Tests. A criminal waste of one of France’s most potent attacking weapons. To lose is one thing but to lose without panache is what has most distressed the French public in PSA’s sterile reign. Just 57 tries in 35 Tests, that’s an average of 1.62 per game. Contrast that with the 94 tries scored by France under Lievremont (2.08 a game) or the 295 tries Les Bleus scored in the 98 Tests under Bernard Laporte, an average of 3.01 a match. 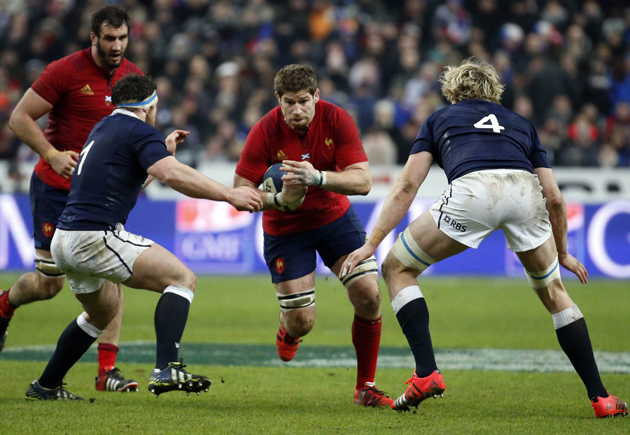 There was a time when the 34-year-old Pascal Papé was a decent second-row forward for France. But he’s never been an inspirational captain. His notorious indiscipline (witness his recent ten-week ban for kneeing Jamie Heaslip) was reason enough not to make him captain in the absence of the frequently injured Thierry Dusautoir. 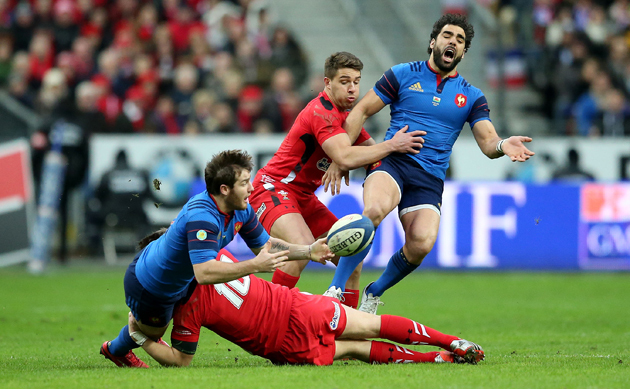 But the manner in which Papé bawled out the young Hugo Bonneval during last season’s game against Wales should have prompted PSA to strip Papé of the honour there and then. A genuine talent, Racing winger Teddy Thomas was the star of France’s first two autumn Tests last year, dotting down for a hat-trick against Fiji and then scoring a brilliant try in the win over the Wallabies. Four days later he was out on his ear, jettisoned for missing a squad meeting. Of course, Thomas should have been present but it was a minor indiscretion from a young man with a fragile temperament. PSA’s heavy-handed response to drop him for the Argentina Test was crass. Since taking charge of Les Bleus, PSA has called on no fewer than 81 players. If that figure wasn’t alarming enough, the fact that 43 of them have won fewer than five caps bears testament to his incoherent selection policy. Wesley Fofana isn’t the only player to have been played out of position by PSA. 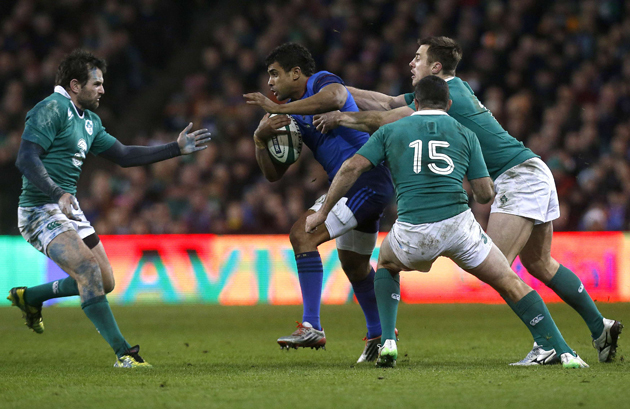 Clemont’s Damien Chouly is a fine blindside but in his 22 appearances for France at No 8 he’s rarely impressed. Yet of all PSA’s potty positional switches none surpass his bizarre decision to start last season’s Six Nations game against Scotland with Sebastien Vahaamahina at six. The 6ft 7in, 19st giant is slow for a lock, let alone a loose forward, and he’d never played a full game in the back row for his club. He lasted 65 minutes before being replaced and has never appeared in the No 6 shirt again. Last season it was Jules Plisson, this season it’s Camille Lopez. Two young fly-halves who started their club seasons in fine form and a few months later – once they’d spent time with PSA – were shadows of their former selves, shorn of their confidence and making the most basic of errors. And it’s not just fly-halves: Scott Spedding, Maxime Mermoz, Sébastien Tillous-Borde and Hugo Bonneval are just some of the other fine players not able to express themselves for France the way they regularly do for their clubs. In an emotional press conference the day after the defeat to Wales, PSA savaged his players, describing them as “starlets” and insinuating some were more interested in off-field activities than playing for France. But the buck must always stop with the coach, and how can any Test side expect to play well when in 35 Tests there have been 15 different half-back combinations? The truth is that PSA has never been up to the job of coaching France, as his shocking win ratio of 40% proves. With just 14 victories in his three-and-a-half years in charge – a return that makes him the worst coach in the history of the national team – it’s time he was fired and a new face installed who, might, just might, give France a faint chance of turning things round in time for the World Cup.